Revolutionary new techniques and products are making printmaking safer, more sustainable and more accessible than ever before. Working closely with sustainable printmaking innovators, Dwight Pogue and Skip Klepacki, I have been dedicated to developing and sharing safe, environmentally friendly practices that yield professional quality results. Developed in the summer of 2011 by Dwight Pogue and Skip Klepacki, Century Plates make lithography much more affordable for students and practitioners alike. They are made of heavy gauge 'commercially pure' aluminum that can be re-grained and re-used hundreds of times. Simply grain the plate using an inexpensive sanding pad and common household cleaning agents. Using plastic or steel pin registration and a single Century Plate, printmakers can easily register and print multiple color lithographs combining crayon, tusche, toner washes, Sharpie paint pens and other materials. Century plates can also be brush coated with D&S self leveling photo-coating and used to print halftones, digital images and hand drawings on mylar. When this capability is combined with the new D&S bio-based processing materials, the need is eliminated for hazardous acids, asphaltum, Red Lacquer V, and lithotine. 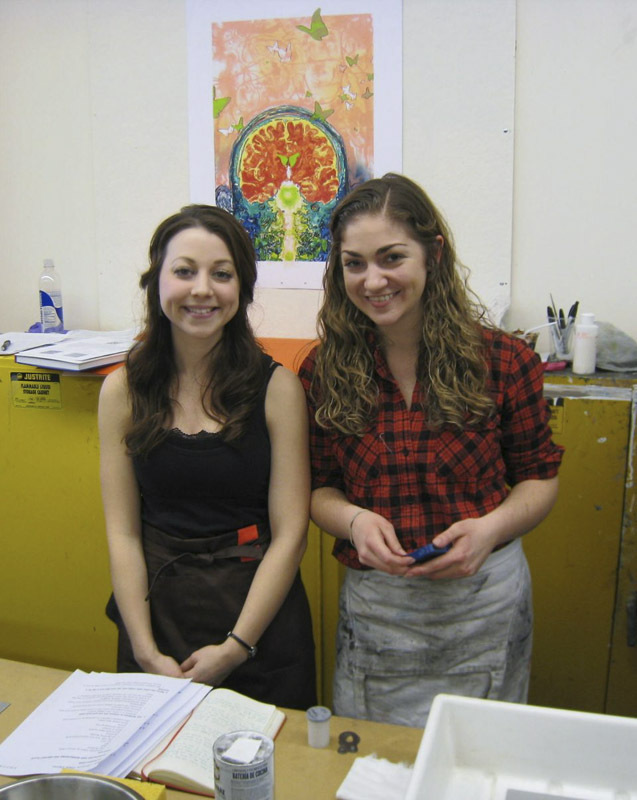 Photos from my 2013 Demo, Bio-Based Lithography on the Century Plate. Southern Graphics International Conference. Milwaukee, WI. 2014 Century Plate Workshop at Haystack Mountain School of Crafts. Deer Isle, ME. 1. Detailed guide to Bio-Based Litho on the Century Plate. 3. For video instruction and more information, click here. Friday, March 20. 1:45-3:15 and 3:30-5:00. 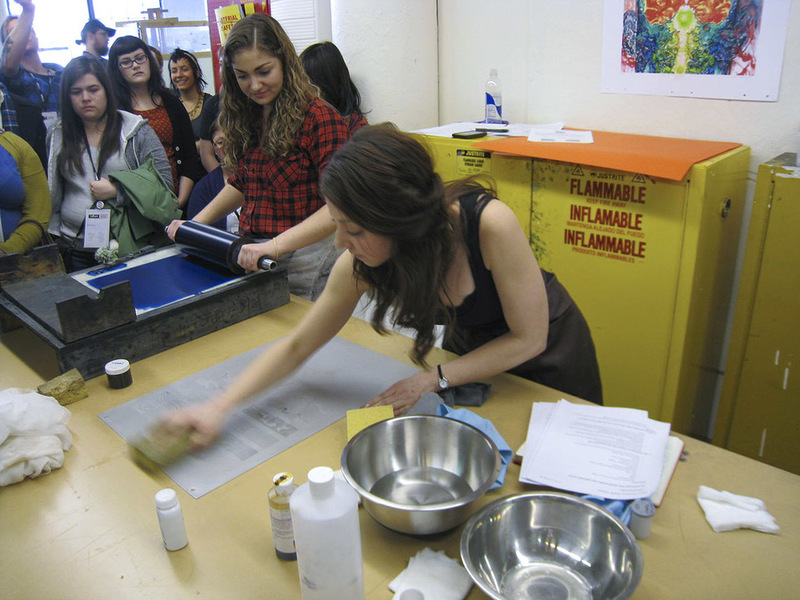 Etching, lithography, and screenprinting shouldn’t be harmful to the artist or the planet. 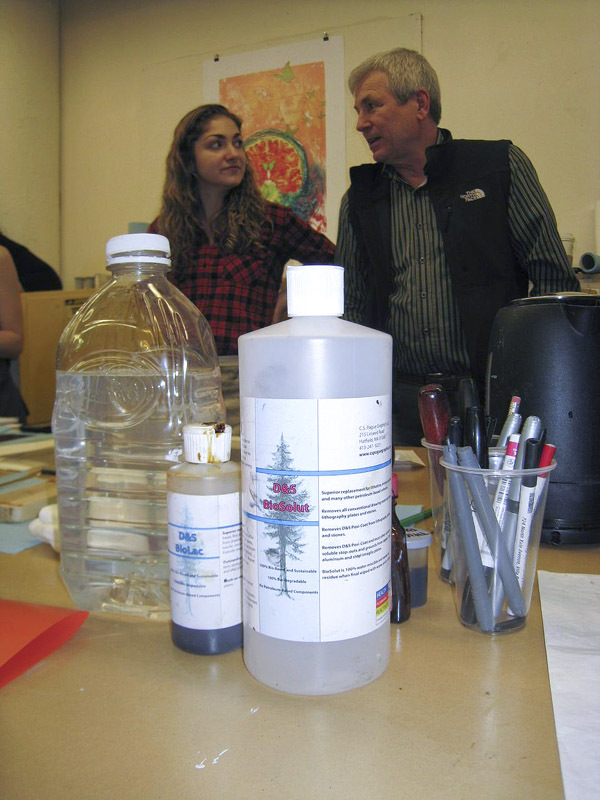 With cutting edge, never-before-published advances in printmaking media, Printmaking Revolution provides artists, students, and teachers alike with safer, environmentally friendly and non-carcinogenic methods for creating beautiful prints. Inside, teacher and professional artist, Dwight Pogue offers groundbreaking information on embracing green, petroleum-free, nontoxic materials that comply with the Environmental Protection Agency (EPA) and Occupational Safety and Health Administration (OSHA) requirements. With new alternatives for the modern era, and work by some of today’s most notable artists, including Janet Fish, James Rosenquist Walton Ford, and Louisa Chase, this book truly revolutionizes the techniques, materials, and processes of a time-honored medium.